To put it simply, Drew joined No Barriers because he loves exploring the natural world and loves the transformations that tend to follow from doing so. 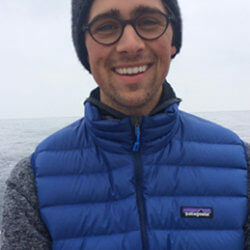 After completing his undergraduate degree at Rollins College in Winter Park, FL, he moved to Hawaii, then on to California, and most recently has moved back to Fort Collins to begin a graduate degree in Counseling Psychology with hopes of eventually working as a Psychologist in Wilderness Therapy. In his spare time, Drew enjoys teaching and practicing yoga, skiing (on water and snow), biking, backpacking, gardening, and traveling everywhere.